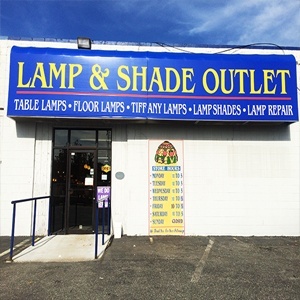 When you want the right lamp, shade, or accessory for your home or business, turn to our experts at Lamp & Shade Outlet! 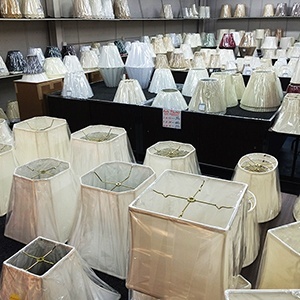 Successful for more than 30 years, our local Philadelphia retail and repair shop can absolutely find what you’re searching for or can fix your lamps right. From table lamps to floor lamps to silk shantung lamp shades, if we don't have it, we will be glad to order it for you! We've got a wide variety of lamps that come in many shapes, sizes, and colors. Contact us today by calling (215) 331-7277! We are famous for our lampshades. Bring your lamp in to us, and we will give you personalized lampshade fitting you will be happy with. We offer many shapes, styles and colors to choose from. 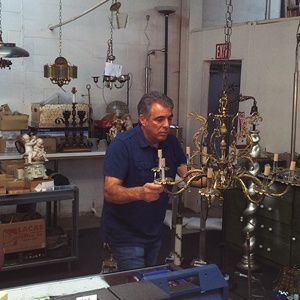 From antique chandeliers to modern lighting accents, we are your one-stop lighting shop for all kinds of repairs. We have the knowledge. We have the experience. Let us show you what we can do! Lamp & Shade Outlet is Philadelphia's largest and most complete lighting showroom! We specialize in lamps and lampshades and can complete almost any repair – no matter the size or scope!